Prepare for or Recover From Surgery. Do you have pain or stiffness in your shoulder when you try to put on your jacket? Pain in your low back when you get out of a low chair? or the knees that go “crunch”? Have You Been Diagnosed With Any of These Conditions? Whether you have been in Chronic Pain for years or are recovering from a more acute situation such as a Recent Injury, Surgery, Car Accident, Work-Related or Sports Injury – we can help you. We specialize in pain relief, pain management, injury rehabilitation and functional training through non-invasive, non-surgical, movement and hands-on Active Myofascial Therapy™. Listen to what Josh said. He experienced Fast Pain Relief in 2 Days and Finally Got Rid of His Chronic Back Pain in Only 4 AMT Sessions! Listen to What Linda (a therapist) Says About Her Own Body and How To Get Rid of Back and Neck Pain! Experienced Migraine and Neck Pain Relief! AMT was developed by our founder and director, Irene Diamond, RT. Irene has taught Active Myofascial Therapy to Physical Therapists, Massage Therapists, Chiropractors and Fitness Trainers across the country and continues to see a select group of clients each month in San Francisco. The longer you continue to live in pain … the harder it is to get rid of your problem. 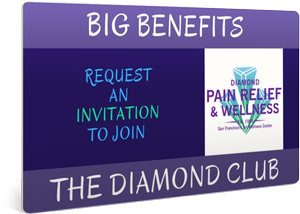 Your pain-relief therapy will be provided by a Rehabilitation Therapist or an other qualified provider, based on your needs. In most cases, we can bill your insurance for therapy to help you recover from Automobile Accident Injuries, or provide you with a statement to submit on your own. How Is Active Myofascial Therapy Treatment Structured? AMT is designed to work fast to eliminate your pain and improve your function as effectively as possible! We highly recommend you start with either the “Accelerated Program” which includes a thorough Initial Evaluation, plus four “Expanded” therapy sessions or a “VIP Results Program” which will specifically address your long-term complaints to get you a fast, jump-start on long-term relief and results. At the conclusion of either the Accelerated Program or VIP Results Program, you should see a marked improvement in your condition… That means Less Pain & Improved Function! You will also feel confident in what you will be doing to maintain your ‘new and improved’ condition, such as knowing how and when to do the Actions, how to maintain your posture, strength and flexibility. If one of the full programs are not an option due to scheduling or budget needs, you will still benefit from seeing an Active Myofascial Therapist for one or two individual appointments. The therapist will perform a quick assessment and provide the therapy he or she feels would benefit you the most in the shortest time. You can always schedule your 1st session as a “Targeted Session” just so you can be sure Active Myofascial Therapy is for you. This “Try-Before-You-Buy” option will let you experience AMT and you WILL know right away if Active Myofascial Therapy ~ The Diamond Method is for you! Initial Evaluation appointments are performed by our director, Irene Diamond. Due to the popularity and success of the therapy, it is usually necessary to book your appointment up to a month in advance. The AMT sessions should be scheduled close together with only a day or two in-between. If additional individual appointments are needed they are scheduled on an as needed basis, depending on your condition and specific situation. Once your program is complete and results are achieved, we suggest a maintenance plan of at least 1 Targeted visit per month to enhance and improve your condition and maintain your level of success. Since we operate as a Precise Private Practice, please call us to discuss your needs. You may schedule with one of our Rehabilitation therapists or Irene Diamond, the founder of Active Myofascial Therapy. Irene does not work with everyone who is interested and will choose patients she feels she can get the best results for. If you would like to discuss your therapy with Irene Diamond to be considered as a client, please call. We will consider your referral source and your situation and determine whether or not Active Myofascial Therapy™ – The Diamond Method or one of our other rehabilitation therapists are appropriate for you. Motor Vehicle insurance (medical payment) is the only insurance we bill for Rehabilitation Services. Medical Flexible Spending Plan / Health Savings Accounts: We provide you with an itemized receipt you submit for reimbursement from your company. We are able to provide you with itemized receipt for tax purposes. Because it simplifies our business, some therapists provide a 10 – 35% discount off some sessions or programs when not billing insurance. Some therapists are approved providers for Blue Cross, United Health, or Allied Health and therefore, if you have coverage through one of these insurance companies you might be eligible for a reduced fee on some sessions. AMT is very effective to get you back in shape and out of pain. Our rates are not inexpensive, but are worth it! 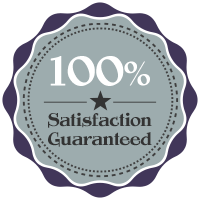 Please Read about Our Unheard of 100% Satisfaction Guarantee! We want you to feel you are absolutely getting your money’s worth! You may also Click Here to schedule a no-cost consultation to discuss your condition to see if Active Myofascial Therapy- The Diamond Method ™ is right for you.